If your life is less than you’d like it to be, it’s possible your standards are too low. 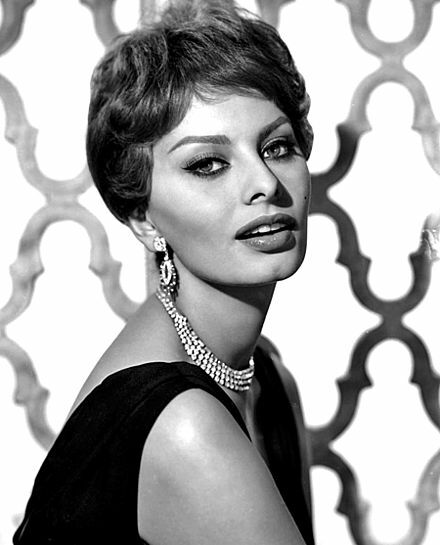 And it’s just like Sophia Loren once said – you can’t make a woman believe she’s beautiful unless she also sees that in herself. You’ve got to believe it if you ever hope to achieve it, my friend. Just think about it this way. One of the reasons Donald Trump makes so much money is that only making $1 million per year is totally unacceptable to him. So ask yourself: are you comfortable with only making $50k a year or being 40 pounds overweight? No? Then maybe you should consider what you EXPECT. Because, and I’ve said it before, YOU NEVER GET MORE THAN WHAT YOU EXPECT! If you don’t raise your standards, you’re stuck with what you’ve got. Now, let me ask you something. Would it be okay with you if your best friend or child were to marry someone who hits her a few times a year and belittles her every day, or would you want her to marry someone who doesn’t physically or mentally abuse her? Well, you need to develop the same level of love and concern for yourself as you have for the people in your life who matter to you – and you’ve got to set your personal standards to the same level, at the very least. Not only are you worth it, but it will definitely affect where you end up inn life – the fact is that you’re likely to end up with whatever is acceptable to you and little more. Your standards determine your “personal limits” – that is, the least or lowest level of what’s acceptable to you in general. Not sure what your personal standards are and if you should raise them? Ask yourself the following questions to find out where you are and whether you need to raise them. What’s the least you’re willing to accept in your life? 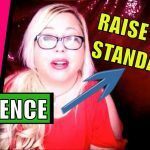 What else do you need to know about raising your standards? Be careful when you set your standards, though. You want to aim high but also have an open mind. The fact is that you aren’t likely to sink below your standards, but you also aren’t likely to rise too far above them either. If you’re healthy in other ways, when your standards have been violated, you’ll quickly look to change your situation. If you’re struggling with this, maybe you should look into the possibility that you’re involved with narcissists and/or toxic relationships. You can raise your standards at any time. Your standards are entirely up to you. You have the right to thrive. You weren’t put on the planet to just exist and scrape by. While it’s totally necessary to set standards for your relationships with others, it’s almost more important standards deal with your own conduct – especially if you want to be successful following your passion like Jennifer Lopez has been and continues to be. 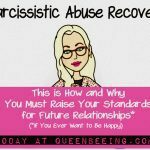 Ask yourself the following questions to help start to figure out what your personal standards are for your own behavior and whether you should consider raising them. Are you willing to tolerate being late again? Are you a big procrastinator? Do you find yourself letting your family down? Not speaking up for yourself? Making changes in this area will have the greatest impact because all aspects of your life are influenced. Become a more effective person by raising your expectations of your behavior. Determine a standard you’re committed to raising. Perhaps you’d like to make more money or take more calculated risks in life. What would impact your life the most? How would your behavior change if you adopted that new standard? Visualize success in that area. Imagine yourself in that high-paying job or enjoying time with better friends. Focus on the feeling it generates. That feeling will draw you to your new standards like a magnet. Take aggressive action. You’ll know when your new standards have taken hold because your behavior will change. If you’re still stuck, your standards haven’t changed enough. See your new standard as a fundamental shift, rather than as a goal. See yourself as the person that makes health a priority. This is much more powerful than having a goal of losing 25 lbs. When you change who you are, many of your results will change, too. Recognize when you’re living up to your new standards. If you’re trying to save more money, make note of all the times you’re behaving congruently. You might buy less expensive food at the store, skip your morning latte, or carpool to work. Point out your progress to yourself and feel excited. Consider what could happen if you fail to live up to your new standards. Keeping with the money-saving example, you might not be able to pay your bills on time or you might have to work at 65 instead of retiring. Make a list and understand the pain you face if you don’t stay on track. Even Tony Robbins has said that raising his standards was the most important factor in turning his life around. It’s important to set a baseline for what you’re willing to accept in life. You don’t get what you want in life, you get what you’re willing to tolerate. Have high standards and your life will rise to meet them. Ben Affleck, Jennifer Garner Alleged Divorce Due to Jennifer Lopez Affair?